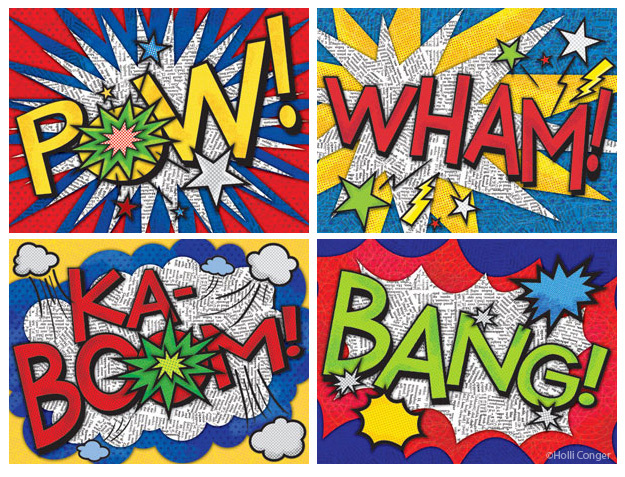 I recently licensed my comic book words series to the great folks at Oopsy Daisy. 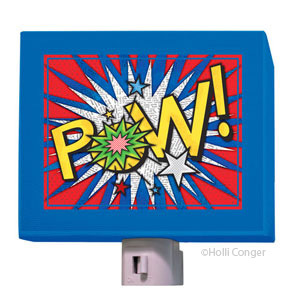 They are available as large 24″x18″ wrapped canvases and “POW!” is available as a night light too. Come on, you know you want to get them for your little super hero! These are awesome. When I don’t look directly at it, the “POW” design’s pink middle pulsates a bit. It is like an optical illusion!